My oldest, Molly started middle school this year. I had never considered what parenting a middle schooler would be like, never, because as I alluded to before, this was a time in my life that I try not to reflect on. While I was pregnant I had sweet visions of cuddling a newborn, teaching her how to ride a two wheeler, prom, graduations and her wedding day. Yep, skipped right over that middle school phase, and now we are living it, trying to survive it, well to be honest, I’m trying to survive her mood swings and listen to her drama without laughing hysterically in her face, and that is no easy feat! Navigating middle school has been an interesting learning experience. I am still learning everyday and will never be an expert, by any means. For Fitness Friday, I wanted to introduce our readers to Yogarteens. This program is offered throughout the Charlotte Mecklenburg area at various middle schools. HA! Something positive and fun for a middle schooler! Sounds too good to be true, but it is true. An amazing program, created by Kelsey Cash, that has been such an empowering tool for all students involved. When Molly asked to join Yogarteens I assumed that it was just a group getting together before school to learn some yoga moves, boy was I wrong. I sat down with Kelsey, and she gave me so much insight into this program and I pass it on to you! The curriculum teaches teens strategies and techniques for coping with issues they face every day. 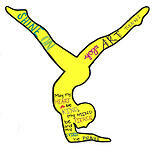 What gave you the idea of Yoga Art Teens? Yoga has changed my life. I wished I knew YOGA earlier… I, like many other yogis, wished they were introduced to yoga at an earlier age. It was this thought that lead me to begin teaching yoga to teens at school. One thing lead to the other and Yogarteens was created. 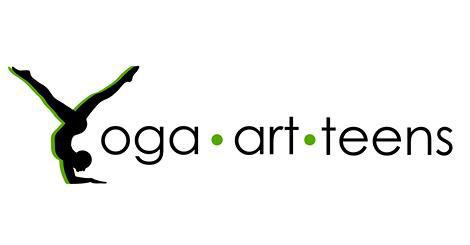 Yogarteens combines both my passions of yoga and art in a teen program. Students participate in group discussions, journaling activities as well as learn different breathing techniques that can help teens cope with anxiety and stress in school. Being an art teacher in middle school, I realized I could share my passion for yoga with my students. On a daily basis, I saw the students face transitions in their body and stress in classes. All these changes at once can be overwhelming. I knew yoga could help. So I started with simple breathing exercises with the golf team at Quail Hollow Middle School. The exercises were focused on staying calm and centered. The students didn’t realize the impact a simple deep breath could have on their performance. The following spring, I expanded on the simple breathing exercises with the girls soccer team I started to incorporate basic yoga movements on game days. The girls were focused and calm come game time. It didn’t take long for the team to want to do yoga on a daily basis. I listened to the students and began incorporating yoga into every practice. And word caught on. Yoga isn’t just for game day or practice but yoga can help in everyday life. A small group of students started meeting once a week before school for yoga. The once-a-week meetings soon turned into twice a week. The small group of students started to become a larger group of students. I knew the students wanted more, I knew with a little bit of help, I could do more. So I went to my yoga teacher, Grace Morales, and began to dabbled over several ideas. I decided it was time to put my ideas into action. Some ideas worked, some didn’t, but in the end it lead to the creation of Yogarteens, Inc. during the summer of 2013. 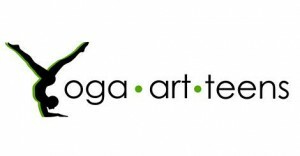 Yogarteens combines art and yoga into a program for teens. The goal is to empower teens in grades 6-12 to live life skillfully through the practice of yoga. The 10 week program weaves messages of inspiration and encouragement within a yoga class while strengthening the body and mind of every student. Yoga is something everyone can do regardless of race, gender or age and we shouldn’t deny this practice to kids. They need it more than we realize. At Yogarteens we believe that yoga is essential to growing up. Yoga can help students become more balanced, peaceful and compassionate young adults. Students benefit not only physically but mentally from the practice of yoga. 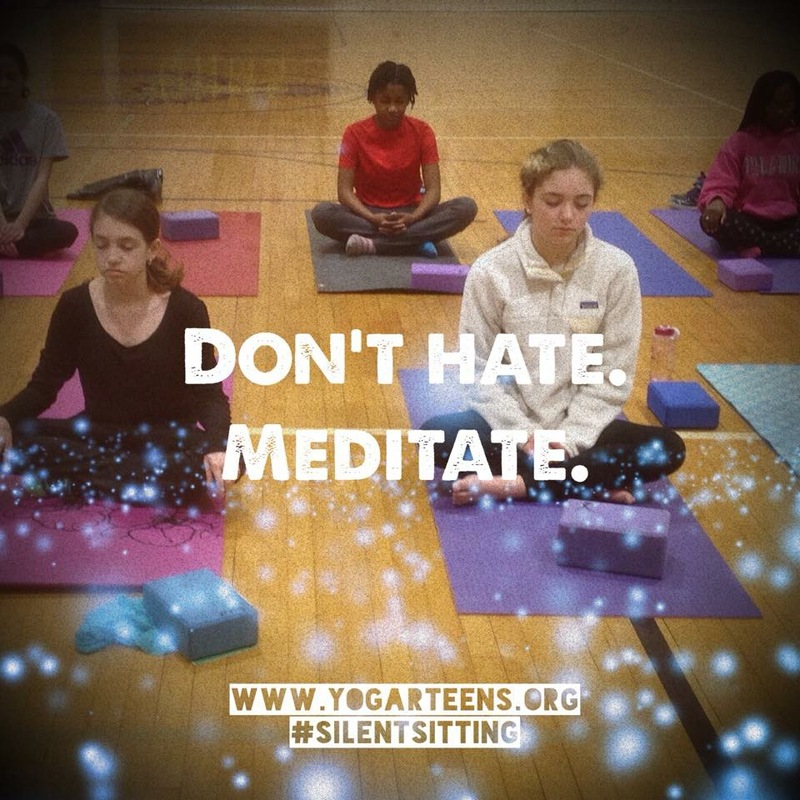 Yogarteens teaches students techniques for coping with issues they face every day — insecurity about their bodies, the pressures to fit in, stressful schedules and uncertainty life. By combing the physical postures of yoga as well as the life lessons of yoga philosophy, students are able to get stronger in their bodies, and feel more confident in themselves. It weaves the yoga sutras into lessons that inspire, challenge, and empower students in their yoga journey on and off the mat. Over the 10 weeks, along with learning yoga poses, teens participate in group discussions, journal writing and reflection. The Curriculum includes weekly topics like “Learning to be my own best friend” – topics that helps teen deal with issues of their everyday life. Students also participate in an art project relating to those messages. Another idea for creating this organization was to open more job opportunities for instructors around the community. So many yoga instructors take yoga trainings who want to teach teens. In our program, we give instructors this opportunity. We hire certified yoga instructors and place them at schools to teach for the season. In addition, instructors get trained over the summer with our curriculum. Smarties, here are some upcoming events that provide a great way to learn about Yogarteens and support them! Join us Wednesday March 18th from 6-8:30pm to learn more about the mission of Yogarteens, enjoy a glass of wine, and of course shop – we’ll be donating 10% of the day’s sales to the cause! The Studio of the Month program is a fun way for Charlotte area studios to introduce themselves to our young yogis (and their parents/guardians) and support their yoga education. It’s also an opportunity for these future studio patrons to learn what options are available to them in their journey and find a studio that feels like home! If you see one of these teens in a class, please take a moment to encourage them to continue their yoga journey. Thanks to @Donna Duffy and @Yes to Yoga who is our studio of the month of March. 3) Yogarteens End of Year Event! Join Yogarteens for our 1st annual End of Year Event! Yogarteens from all of our area schools and their families and friends are invited to come together for a day of practice, community, and fun to celebrate a successful year. Come one, come all – this event is also open to our supporters and community members. How to sign up: Registration is available online prior to the event. Cost is $15, or $20 at the door. Yogarteens get in free if they wear their YAT tshirt. What’s included: 4 hours of yoga and art with some of our fabulous instructors, local area studios and sponsors, free goodies, and fun! What would a reader need to know/have to bring Yoga Art Teens to their home school? We are beginning to prepare for next year. If you are interested in getting the program at your school next year, contact me directly for more information – kelsey@yogarteens.org From there we will get the process started. – Complete School Site Application that determines the space, the day and time YAT sessions will be carried out at the school. – Carry out Registration at the school. A space for teens to practice yoga in the school. Teens will practice one day a week for at least one hour either before or after school. A certified yoga instructor placed at your school. Instructors have at least 200 hours RYT training and in addition go through a YAT training. Art supplies and materials for curriculum for the season. Donate to Yogarteens. Here’s why: donating helps provide our teens with yoga mats, blocks, straps, journals, and art supplies to foster their creativity. It also helps us cover the community use of schools cost of getting set up in each school as well as provides scholarships to kids who needs them. Click here to donate. Smarty Steal Alert: Jude Connally 10% off 2015 Spring Line!